The date of August 7th is special throughout the annals of our nation’s lighthouse history. It was on this day in 1789, that Congress approved an Act for the establishment and support of lighthouse, beacons, buoys and public piers. In Celebration of the 200th Anniversary of the signing of the Act and the commissioning of the first Federal lighthouse, Congress passed a resolution which designated August 7, 1989 as National Lighthouse Day. Today, lighthouse organizations continue to celebrate August 7th as National Lighthouse Day. 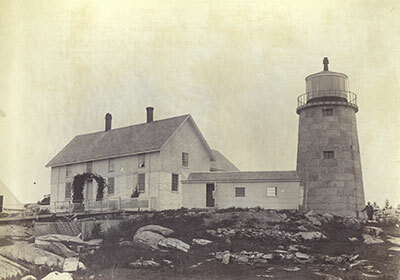 In honor of this special occasion, we thought it would be appropriate to share a heroic rescue undertaken by keeper Isaac H. Grant – husband of the famous Maine heroine Abbie Burgess Grant, when the couple was stationed at Whitehead Lighthouse. The rescue occurred on the date of August 7, 1881, and for his gallant efforts, keeper Isaac H. Grant was later awarded a prestigious lifesaving silver medal. One hundred thirty seven years later to the day, we remember the heroics of keeper Grant on National Lighthouse Day! “During the year medals have been awarded in four cases for heroic acts of life-saving. 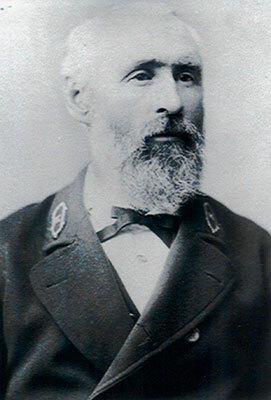 Isaac H. Grant was keeper of the Whitehead Light Station. 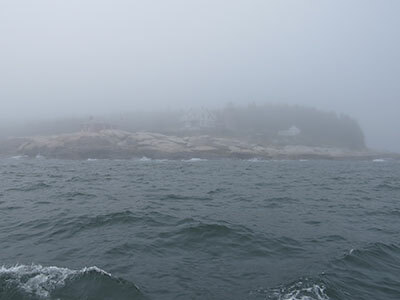 The instance first in order was that of Mr. Isaac H. Grant, the keeper of Whitehead Lighthouse, on the coast of Maine, who, on the 7th of August, 1881, was the hero of a remarkably prompt and gallant rescue. At about 8 o’clock in the morning of that day two men, named Thomas Wilson and John Lynch, mate and seaman on board the schooner “Vicksburgh,” of Bangor, Maine, went out in a yawl from their vessel, which was at anchor in Seal Harbor. 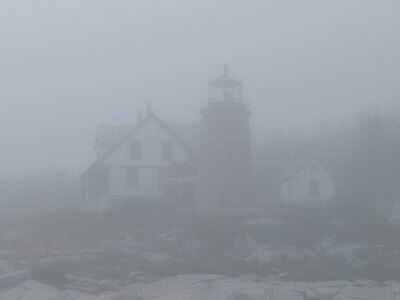 There was a dense fog, a strong breeze, with frequent squalls and a heavy sea, and at 9 o’clock, when the boat had been absent from the vessel an hour, and was about a mile to the eastward of Whitehead Lighthouse, she suddenly capsized. Fog has always been a menace on the waters around Whitehead Lighthouse. The men contrived to get astride of the bottom, and clung to the keel, but were repeatedly torn off by the violent seas, although they as often managed to regain their position. Their cries for help were drowned by the roar of the waves, and the dense fog prevented alike their being seen from or seeing the shore. In this pitiable condition of suffering and struggle they continued for three hours, a strong current caused by the ebb tide meanwhile bearing them out to sea, and the prospect of their being lost rapidly becoming imminent, when the fog fortunately lifted and disclosed them to the keeper of the lighthouse as they tossed, clinging to the yawl’s bottom, far out on the rough waters. A faint view of Whitehead Light in the fog. Keeper Grant acted at once with admirable forethought and energy. He dispatched his daughter with the alarm to the keeper of the life-saving station, about a mile away, and while the girl sped on her errand launched his own boat, with the aid of his son Frank, and put out to the rescue. So stormy was the sea after getting past the lee of the lighthouse that he was forced to throw over sail and ballast to keep the boat from swamping. He soon found that the nearest way to the perishing men was across a dangerous shoal, and time being precious, he risked this peril, and after a hazardous pull came up with the sufferers, who by this time were so helpless that they had to be lifted into the boat. 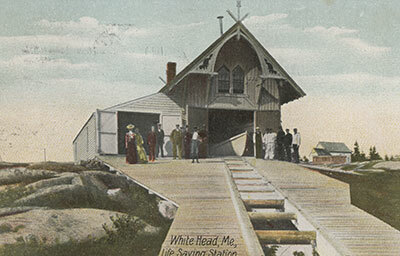 A postcard image of the life-saving station on Whitehead Island, Maine. They were in a frightful condition, exhausted, benumbed with cold, their trouser-legs chafed off at the knees by the abrasions of their struggles in keeping their hold of the boat’s bottom, and the skin and flesh excoriated for spaces each as large as a man’s hand, forming ghastly wounds.